Venus is often referred to as Earth’s “sister planet”. This is because it is relatively close and is of similar size and mass as the Earth. It also has a substantial cloudy atmosphere which is effective at reflecting sunlight, giving it a bright appearance in our morning and evening skies. Any similarities to Earth end there. Venus has a mean surface temperature of 462°C (863°F), the result of a runaway greenhouse in its primarily carbon dioxide atmosphere. With a surface atmospheric pressure 92 times that on Earth and clouds of sulfuric acid, Venus can be aptly described as the epitome of uninhabitable. How is Venus related to the search for habitable planets? The search for exoplanets is largely motivated by answering the question: Is our solar system common? Venus and Earth formed under very similar conditions and probably had water delivered to their surfaces in the same way. However, at some point in their histories, the evolution of their surfaces and atmospheres diverged dramatically! To understand the history of the Earth, we must also understand the tenuous gap that separates the Earth from a runway greenhouse, such as that which exists on Venus. That understanding will come from determining the frequency of Venus-like planets as well as possible habitable planets like the Earth. Could we mistake a “Venus” for an “Earth”? The main method that is currently used to detect terrestrial-size planets is the transit method, mostly using data from NASA’s Kepler telescope. The main property of an exoplanet we measure using these data is the size of the exoplanet. Since Venus and Earth are approximately the same size (Venus is only 5% smaller), we cannot distinguish between Venus and Earth based solely on size. However, we do know that Venus receives almost twice the amount of energy from the Sun than the Earth does. We can use this information to define a new region where we can hunt for potential analogs to the Venus in our solar system. What is the “Venus Zone”? In the same way that the “Habitable Zone” is the region around a star where a planet similar to Earth could have liquid water on the surface, the Venus Zone is the region around a star where the atmosphere of a planet like Earth would likely be pushed into a runaway greenhouse producing surface conditions similar to those found on Venus. The below figure shows the Venus Zone (red) and Habitable Zone (blue) for stars of different temperatures. The outer boundary of the Venus Zone is the “Runaway Greenhouse” line which is calculated using climate models of Earth’s atmosphere. The inner boundary (red dashed line) is estimated based on where the stellar radiation from the star would cause the atmosphere of the planet to erode and disappear relatively quickly. The pictures of Venus shown in this region represent planet candidates detected by NASA’s Kepler space telescope. How common are Venus-type planets? Our analysis of Kepler data detected 43 planets in their star’s Venus Zone. These planets have sizes that are between 50% and 140% the size of the Earth. Using all of the available Kepler data and our knowledge of how many stars have planets, we estimate that approximately 32% of small low-mass stars have terrestrial planets that are potentially like Venus. For stars like our Sun, this number rises to 45%. This is the first estimate for how common our sister-planet is in the universe. How can we know for certain if these planets are like Venus? Unfortunately it is presently beyond our reach to know for sure if indeed these planets have a runaway greenhouse type of atmosphere. That will require a detailed spectroscopic analysis of the atmospheres to determine the molecular abundances present, such as the dominance of the carbon dioxide spectral lines that we see for Venus’s atmosphere. The transit detection method is far more sensitive to short period-planets than long-period planets, meaning that we can detect a Venus-analog much easier than an Earth-analog. Upcoming space telescopes, such as the Transiting Exoplanet Survey Satellite (TESS) will be efficient Venus detectors in the same way that Kepler is. However, the host stars of planets detected via TESS will be significantly brighter than those found with Kepler, enabling detailed follow-up observations with the James Webb Space Telescope (JWST) due to be launched in 2018. Thus there is a strong chance that we will have our first confirmation of a runaway greenhouse atmosphere on an exoplanet within the next 10 years. Where can I find the scientific publication and related data? The science paper On the Frequency of Potential Venus Analogs from Kepler Data has been accepted for publication in the Astrophysical Journal Letters and can be found here. 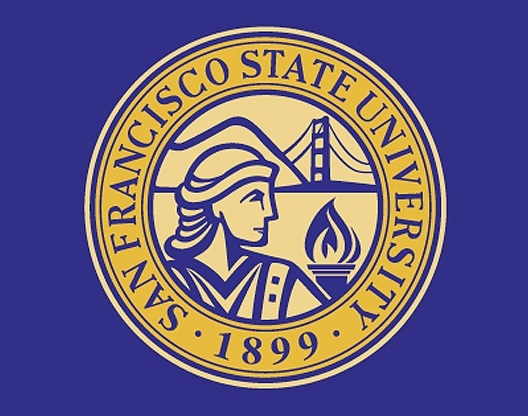 San Francisco State University (commonly referred to as San Francisco State, SF State and SFSU) is a public comprehensive university located in San Francisco, California, United States. 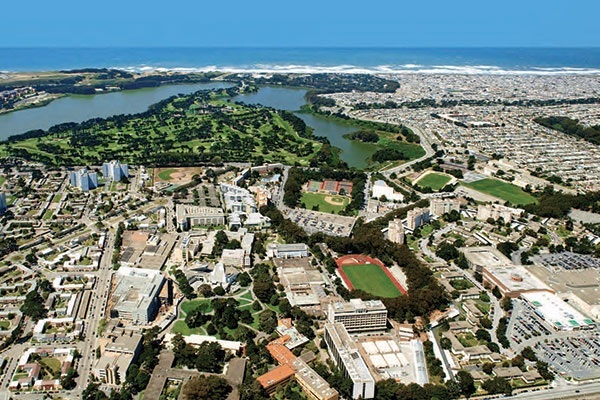 As part of the 23-campus California State University system, the university offers 118 different Bachelor’s degrees, 94 Master’s degrees, 5 Doctoral degrees including two Doctor of Education, a Doctor of Physical Therapy, a Ph.D in Education and Doctor of Physical Therapy Science, along with 26 teaching credentials among six academic colleges.